Ten semifinalists will be selected and offered an invitation (airfare, hotel, transportation) to beautiful Big Sky Country in Bozeman, Montana to present their unit of study to a panel of judges. Should a team of two be selected as 'semifinalists,' one representative must be appointed to represent that team. The presentations will not have a specific format or structure. Semifinalists will be tasked to best demonstrate their units' excellence as best seen fit (presentation, activity demonstration, combination or something else altogether ). 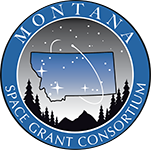 All semi-finalists, including teams of two, will receive up to $100 in funding for materials and/or equipment needed for their presentation in Bozeman. Should the weather cooperate, additional activities may include hiking the "M" trail overlooking the Gallatin Valley, hiking to Palisade Falls at Hyalite Reservoir, check out one of the largest dinosaur fossil collections at the Museum of the Rockies and/or a star party at Hyalite Reservoir! Details about the Bozeman semifinalist trip will be added here as they come up.